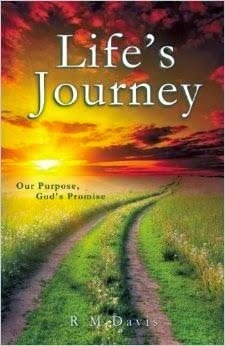 Today we are interviewing R M Davis about Life's Journey, a spiritual/motivational book. To encourage people with the truth that God has created each journeyer for more than we imagine and makes all that is promised possible and attainable through His healing and restorative power. Who do you think would most benefit from reading this this book? Anyone struggling with emotional and spiritual wounds. Anyone seeking purpose in life. Anyone who is walking with a friend or family member through difficult emotional times. What inspired you to write a book about God’s healing and restorative power? After growing up in an abusive and demeaning environment, God took me on a journey of emotional healing. I want people struggling with insignificance and worthlessness to know there is hope for living a full and abundant life. I have received feedback from teenagers to housewives to business men to an 80-year-old woman sharing that God is healing wounds from their past that have kept them from being the best version of themselves. My hope is that the reader will be inspired with hope for a purposed and fulfilling life. The book is very conversational in tone, so it is easy to digest. The concepts are shared through the use of imagery so that people can easily understand and apply them in a practical way to their daily lives.